The Macon County Planning Board holds their regularly scheduled monthly meetings on the third Thursday of each month. All meetings are held at the Environmental Resource Center, located at 1624 Lakeside Drive. Meetings begin at 5:00 pm. All members of the public are invited to attend. 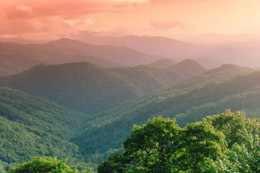 To develop and advocate public policy and procedure to preserve the integrity of our mountain heritage, the beauty and tranquility of our communities, as well as our natural environment for the benefit of current populations as well as future generations while sustaining economic vitality and the social welfare of our citizens. The Macon County Planning Board shall be governed by the North Carolina General Statutes having been established under Chapter 153A, Section 321 of said statues, and other general and specific state laws relating to planning in Macon County, as well by the Macon County Ordinance through which this Board was created, signed by the Macon County Board of Commissioners on March 27, 1972 and amended on January 5, 2004. Make studies of the County and surrounding areas. Determine objectives to be sought in the development of the study area. Prepare and adopt plans for achieving these objectives. Develop and recommend policies, ordinances, administrative procedures, and other means for carrying out plans in a coordinated and efficient manner. Advise the Board of Commissioners concerning the use and amendment of means for carrying out plans. Exercise any functions in the administration and enforcement of various means for carrying out plans that the Board of Commissioners may direct. Perform any other related duties that the Board of Commissioners may direct.